As a school-based physical therapist, I wear many hats. Movement expert, advocate, safety police, that guy who runs around playing tag on the playground. In addition to these, I have the opportunity to build many non-clinical skills in my role serving students. Here are six non-clinical skills used by school-based physical therapists, and how to apply them outside of your clinical role! The success of my students in accessing their education depends in large part on my ability to effectively communicate and collaborate with a wide-ranging team of individuals. This team may include the student, family members, childcare providers, classroom staff, administration, fellow school-based service providers, and members of a student’s medical team, to name a few. This collaboration may occur through a variety of methods, including in-person, over the phone, or other electronic communication. How do I apply this non-clinically? The ability to collaborate effectively within a diverse team will serve you well in almost any employment position, clinical or not. Think about how much of your current success is tied to your ability to elicit buy-in from your patients, communicate with colleagues, and consider the viewpoints of the key stakeholders in your clinical setting. In leveraging this skill for non-clinical positions, emphasize the important role you play as part of a larger team. Focus less on the direct interventions you apply with your patients or students, and more on your adeptness in managing a team to achieve important goals. Highlight your versatility in considering all team members’ viewpoints, and then applying this consideration to get real results for your patients, students, clients, etc. Collaborate with diverse set of school and medical personnel in order to provide school-based physical therapy services, delivering exceptional care meeting students’ and families’ educational needs. Working in the schools requires me to have a constant awareness of deadlines. 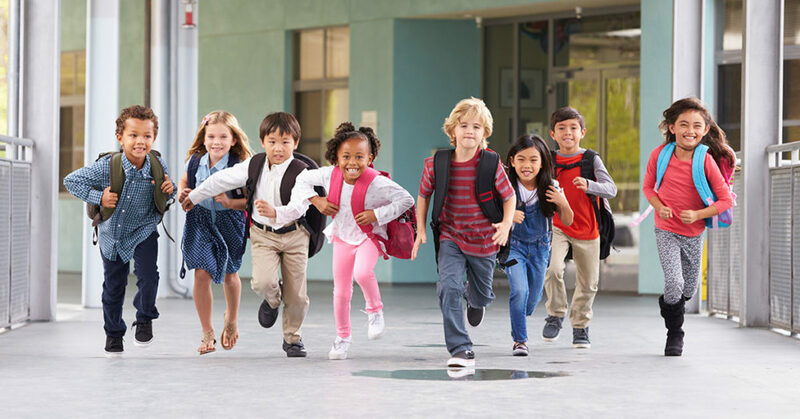 As a related service provider, I am guided by federal mandates to deliver school-based physical therapy services based on a student’s Individualized Education Program (IEP)—or, for students ages birth to three years old, an Individualized Family Service Plan (IFSP). On top of my daily documentation requirements, I am required (along with a student’s special education team) to update student progress toward their IFSP/IEP goals at least annually, and typically one to two additional times throughout the year in the form of a Progress Review. Furthermore, when a student is referred for Special Education services (and every three years after this), there are federally mandated deadlines surrounding completion of an Initial or Re-Evaluation of each student. Long story short, for school-based therapists, the ability to meet deadlines is a must to successful job performance. Again, the ability to meet deadlines is important in most, if not all, non-clinical professions. When writing your resume for a non-clinical position, highlight your skillfulness in this area toward the top of the document. Then, further down, go into greater detail regarding the specific deadlines (and your consistency in meeting them) you’ve been faced with in your clinical role. In an interview setting, you can expand upon not only these examples, but also use your education itself to enhance your marketability. Don’t be shy about sharing about the rigors of undergraduate and graduate school, and how you were able to manage the constant deadlines of group projects, practicals, and written examinations throughout your time as a student. Maintain compliance with documentation and service provision standards, consistently meeting deadlines and maintaining 100% compliance with federal standards. The successful management of resources is a critical skill in serving as a school-based physical therapist. Most school districts these days are operating on tighter and tighter budgets. This means that I need to not only be mindful of my efficiency as an individual therapist—be this with my time, appropriate delivery of educationally-relevant services, or care and maintenance of assistive technology, to name a few—but also of my place within the district as a whole. For example, since many pieces of equipment such as standers, gait trainers, or bikes, cost a significant amount of money, I need to be very thoughtful about when and how I am requesting purchase of this equipment from my districts. Every business has a mission that somehow requires the utilization of finite resources. Use this to your advantage! When interviewing for a non-clinical position, delve into how your thoughtfulness in efficiently utilizing the limited resources of your clinic will benefit your employer’s business. An example from the school setting might be your ability to secure a new adaptive seating system for a student that improved that student’s access to their classroom. But in this case, you must also note that you specifically requested the system for its ability to be used by future students as well, thus saving your district the need to purchase multiple pieces of equipment. Expand upon your ability to manage your time and skill in a fast-paced environment, while still delivering a top-notch, evidence-based product to your patients, students, or clients. Within your resume, highlight your productivity and success in managing a caseload of clients with the resources provided by your organization. As PTs, most of us naturally do our best to manage resources efficiently—now is the time to highlight this skill! Utilize district resources in an efficient manner, including use and maintenance of equipment and scheduling, as evidenced by peer and administrative feedback. Students, parents, colleagues: all of us are human beings with different upbringings and experiences in life. Following evidence-based practice means consideration of the viewpoints and desires of our clients. And, in the school setting, the provision of school-based physical therapy services is in large part based on my team’s decision for how these services might look for a student. I am constantly encountering diversity, not only in the people I work with, but also the systems and cultures in which I operate day-to-day. My ability to adapt and show flexibility in delivering PT services ultimately determines the buy-in and follow-through I achieve from my students, families, and classroom staff. Without the ability to respect and honor diversity, my practice would undoubtedly suffer. This skill relates nicely to the ability to collaborate with key stakeholders. Thankfully, more and more businesses are implementing inclusive practices in terms of the people they hire and the populations they serve. While this is by no means universal, any non-clinical organization should value your ability to show flexibility and thrive within a variety of situations and team settings. On your resume, instead of focusing on specific diagnoses you’ve treated, highlight instead other aspects of the teams or patients you have worked with. This might include mention of the differing abilities, socioeconomic levels, or even languages you have encountered during your clinical work. During the interview process, have ready a specific example or two of situations in which diversity played a role and how you navigated this successfully. Function successfully within a diverse team, delivering outstanding and educationally relevant care while considering viewpoints from stakeholders with various socioeconomic, cultural, and ability backgrounds. Timely and accurate documentation is a HUGE component of any physical therapy practice. This is no different in the school setting. As mentioned above, there are several pieces of federally mandated documentation for school-based therapy services. However, one major difference between the clinic and school is that, save for my daily notes, most of my documentation needs to be written in family-friendly language. This means removal of medical jargon, and instead use of a writing style that is easily digestible and understandable by student, family, and school team members. My ability to not only maintain accurate records that are be usable by the next therapist or another member of a student’s medical team, but also share my students’ progress with other team members from non-medical backgrounds, is crucial to my school-based practice. The technical writing experience you have gained as a treating therapist is applicable to many non-clinical job opportunities. First of all, you already spend portions of every single workday writing down your patients’ progress! Emphasize this during interviews or within resumes for positions requiring writing experience. Be ready to provide examples of your writing skills as well. While you may not be able to share a writing sample directly due to HIPAA considerations, consider sharing about the time you successfully convinced insurance to cover a medically necessary piece of equipment for your patient. Or maybe a copy of a generic home exercise program in which you skillfully disseminated complicated clinical recommendations into an easy-to-read format for your patient. And don’t be shy in sharing about that “Beyond Entry Level” grade you received for your documentation skills as a student if you are a newer therapist—this is still valuable! Provide time-sensitive, written documentation of student progress, while tailoring writing style to a wide set of audiences in both family-friendly and medically accurate language. Last but not least: resiliency. As a school-based physical therapist, for me this looks like the ability to bounce back from a tough session or difficult meeting. It means continuing to fight for my students’ needs, even when my reasoning for requesting a new gait trainer is questioned. Resiliency means modeling respect, teamwork, and listening skills, among other things, for my students—even when I feel frustrated with the limitations of my fixed resources. In short, resiliency is my ability to keep trying my best to help my students access their education despite the difficulties encountered along the way. Within an interview, try communicating your resiliency through a positive attitude and dedication to working hard for your organization and team members. Make a point to emphasize that you don’t shy away from a tough assignment or situation. Again, try to have a few examples of your resiliency a clinical position, and connect these to the position you are interviewing for. Advocate for families and students with medical complexity, consistently devising creative solutions to improve access to educational environment for underserved populations. Remember, nothing about your education or current practice is ever wasted! Be creative in leveraging your current skill set and knowledge into the non-clinical position of your dreams. You have value, and this value extends beyond your clinical role. School-based physical therapist working with families and students ages birth-21 years old!